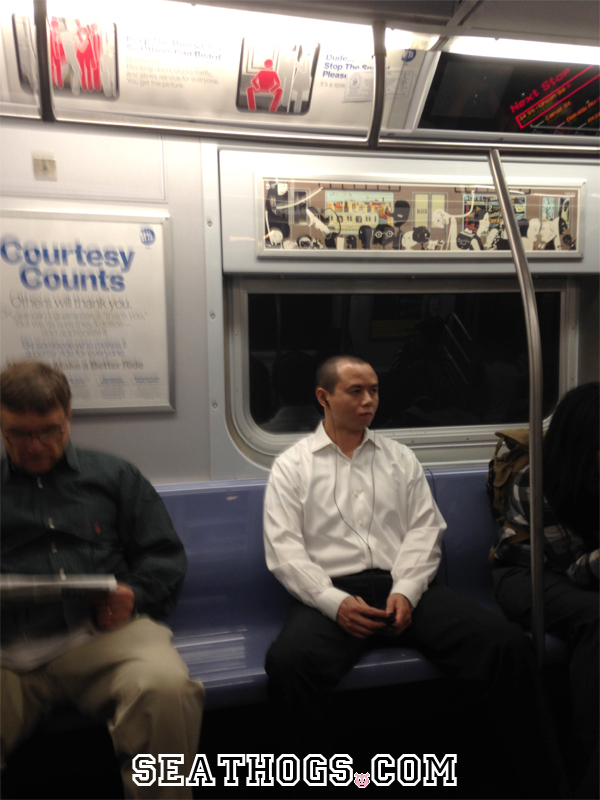 Wait, I think I see something, could it be…. 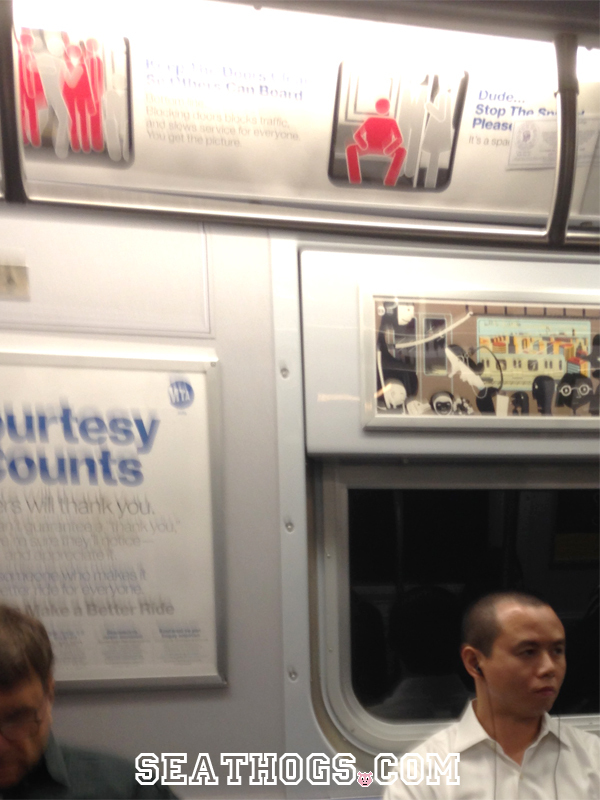 That Red Etiquette Sign, It Can’t Be…. 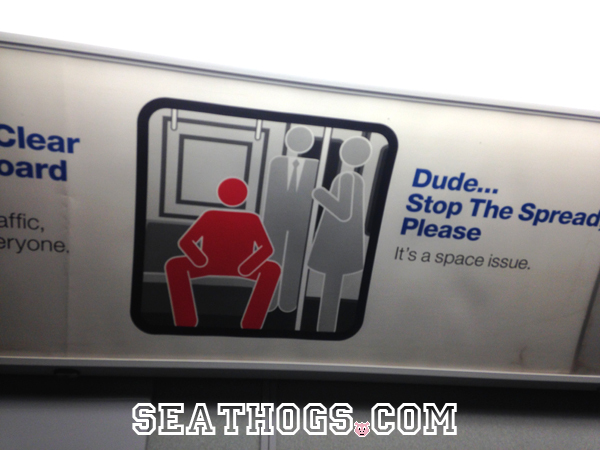 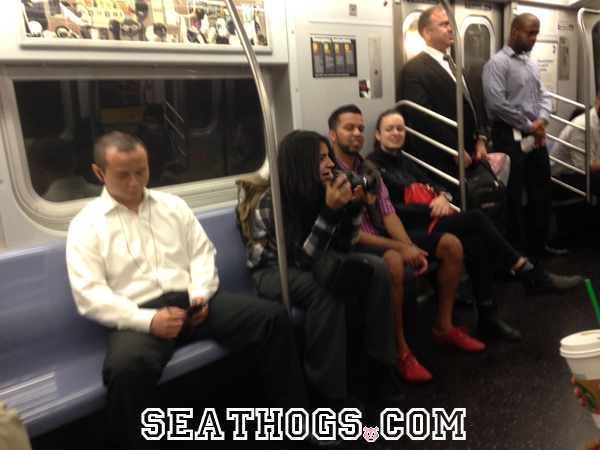 Halloween Costume Idea – Dress in a Red Body Suit and Hog Seats On the Subway.